Safety eyewear was at one time kept unfashionable on purpose, so that it didn’t compete with other frames. There has been a huge evolution in the last 10 years and many people are probably not fully aware of what is now available. Learn what is available in exciting new safety frames and lens technology, and have an opportunity to try some on . (There will be an assortment for demonstration!). Occupational Health and Safety Professionals, Human Resource Professionals, Supervisors, Managers, JWSHC Members, Disability Managers Committee members or safety professionals, anyone who has ruined their glasses by playing sports, painting, welding, weed trimming, etc. Business owners/managers who need to provide safety eyewear to their staff. Christine has worked in the industry since 1999 in a number of environments and then in 2014 opened her own business. Time: Networking: 7:30 a.m., Presentation: 8:00 a.m. to 9:30 a.m. Location: Canad Inns Fort Garry, 1824 Pembina Hwy. Members can bring a guest to the Breakfast meeting for free (same person, one time only)! Cancellations – Members-$25 and Non-Members-$25 – These Fees apply for those who register and do not attend or cancel at least 72 hours prior to the event date. You don’t want to miss this! Listen to practical advice on important safety issue management. In order to maintain a safe workplace and show due diligence, sometimes employees may need to be disciplined when they break safety rules. When should that discipline for a safety infraction mean termination of employment? What happens if an employer gets it wrong and terminates when they shouldn’t? What happens when there are human rights issues raised as the reason a safety rule can’t be followed? This session will provide practical advice on when to discipline, when to terminate, and how to do so in such a way as to limit liability for wrongful terminations, all while balancing human rights obligations. Jamie is a Partner with Taylor McCaffrey LLP, as member of their labour and employment law and civil litigation practice groups. Experienced in all facets of management-side labour and employment law, including human rights, wrongful dismissals, grievance and interest arbitration, her practice has a special focus on occupational health and safety matters. She is well versed in assisting clients in responding to workplace accidents, defending employers charged under OHS legislation, addressing appeals of regulatory orders, and policy development. She is recognized as one of the leading OHS lawyers in Canada by the Canadian Legal Expert Directory. Members can bring a guest to the Breakfast meeting for free! Register at – office@ipam-manitoba.com providing full contact information. SAFE Work Certified Starts with YOU! SAFE Work Certified with YOU! Your actions or inactions have a profound impact on workplace safety, productivity and cost. Why not walk the talk, set a positive example to motivate others, and join hundreds of other Manitoba workplaces in their efforts to make our province the safest place to live and work? Attend this presentation and learn the steps involved in achieving and maintaining certification! The SAFE Work Certified Program is currently being delivered through a network of industry based safety programs/associations designated as Certifying Partners. Certifying Partners provide the necessary information, support and training to assist employers in obtaining certification. Beginning in 2018, employers who meet eligibility requirements will qualify for a prevention rebate based on their WCB assessment premium. The SAFE Work Certified Program utilizes a unique and customized, performance-based audit approach which differs from most traditional compliance based auditing techniques. It also requires the completion of a safety culture assessment which is used to support the evaluation of the SAFE Work Certified Program, safety culture in Manitoba, and promote continuous improvement. Click here for information about our presenter. 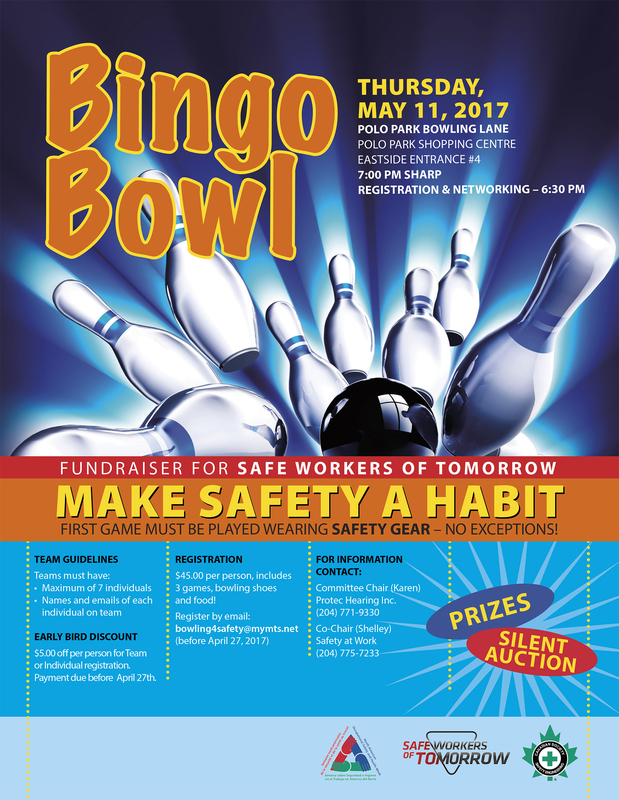 Safety professionals, employers, owners/managers/supervisors, contractors, suppliers, workplace safety and health committee members and workers would all benefit from attending this session. Safe Work Certified as a performance based audit focuses heavily on the interview component of the audit format. Developing good audit skills along with it. After many years working in health care (rehab) it became obvious to me that getting on to the proactive side of injury prevention was more my passion. I joined with my husband to help create and implement his first Safety Program for his construction company. Over the years, my passion for educating has steered me from health education and no to safety educating. Safety Professionals, Company Owners and Decision Makers. ABOUT THE SESSION – With the pending legalization of marijuana expected in July 2018, workplaces are taking steps to ensure that they are putting appropriate measures in place to ready themselves when legalization hits. This day-long session will discuss the current state of the law and the proposed legal changes, and how the issue of legalization of recreational use will differ from medically prescribed use. Time will be spent examining real life cases and how courts and tribunals have dealt with the issues such employee testing, employee searches, indicators of impairment, employee discipline and balancing safety issues with human rights. This session will also provide practical tips on how employers can address the safety concerns legalization poses, including how to draft drug and alcohol policies that work. SESSIONS OBJECTIVES – This session will provide attendees with an understanding of the law surrounding legal marijuana use (current and pending) and how legalization differs from medically prescribed use; to provide attendees with an understanding of the various safety issues imposed by those using and/or impaired by marijuana in the workplace; to provide attendees with an understanding of the other areas of workplace law that may intersect with safety issues arising out of marijuana use/impairment in the workplace; to equip attendees with the tools they need to understand and manage the safety risks posed by use/impairment by marijuana in the workplace in a legal way. WHO SHOULD ATTEND – Business owners, managers, supervisors, safety and health managers and supervisors, human resources managers and supervisors. 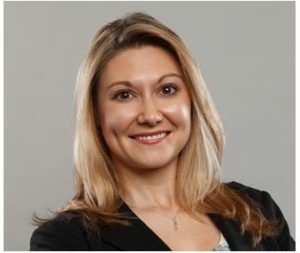 Jamie Alyce Jurczak is a Partner with Taylor McCaffrey LLP, where she is a member of their labour and employment law and civil litigation practice groups. She is experienced in all facets of management-side labour and employment law, including human rights, wrongful dismissals, grievance and interest and collective agreement negotiation. Her practice has a special focus on occupational health and safety matters. She is experienced in defending employers charged under provincial and federal OHS legislation, and is well versed in assisting clients in responding to serious workplace accidents, addressing administrative appeals of regulatory orders, performing regulatory compliance reviews and policy development. Jamie is also experienced at conducting independent workplace harassment and violence investigations. She is a regular contributor to OHS Insider and is the author/editor of the OHS (West) and WCB (West) titles of the Canadian Encyclopedic Digest. A sought after speaker on various OHS, human rights, employment law, and general litigation topics, she is recognized as one of the leading OHS lawyers in Canada by the Canadian Legal Lexpert Directory. Click here to register online – credit card payments are accepted. You can also choose ‘invoice’ through this payment system. Prices are subject to GST. Refreshments and lunch included in fee. CANCELLATION – Cancellations are accepted up to October 30, 2017 without penalty. Cancellations received after this date are liable for the entire fee. Substitutions are welcome. This session will look at the changes are that are coming to training in Manitoba/Canada as well as how to evaluate the training courses your workers have and how to evaluate the company who is potentially going to do your training. Today, after more than eight years of providing valuable specialized consulting and training including detailed fall protection equipment and systems inspection services to customers across Canada, he leads a team of highly trained and dedicated professionals whose goals are the same as his: to provide all of our customers with the professional support they need to prevent occupational injury through falls from heights, confined space entry and scaffolding operations. In addition, Mark sits on the CSA Committee S269.2 for Access Scaffolding for Construction Purposes, the CSA Committee Z797 for the Code of Practice for Access Scaffold, and the CSA Committee Z1006 – Management of Work in Confined Spaces. Also, sits on the Manitoba Fall Protection Working Group for the development of Working at Heights Training Program Standard and the Manitoba Scaffold Working Group for the adoption of CSA Z797 into the Workplace Health and Safety Regulations and the development of a Scaffold Training Program Standard. Canad Inns Fort Garry, 1824 Pembina Hwy. Cancellation fee ($10) applies for members and non-members who register and do not attend. Questions? Contact Lise at 204-295-1512. To become a sponsor or sponsorship information, click here. Are you responsible for going into or sending someone into a confined space? Responsible for assessing the hazards, developing procedures, selection of equipment and training for a confined space entry? This interactive session with actual equipment on hand will provide an overview of the equipment required to safely enter a confined space including equipment selection, limitations, and cost of ownership. We will touch on Manitoba’s contribution to Confined Space Entry and remove some of the illusions that our safety equipment is safe for all applications. Travis has been in the safety equipment industry for 27 years. Establishing Reliant Safety Equipment in 1998 specializing in the sales, service and rental of confined space safety equipment. His focus broadened in 2008 when acquiring Action Fire EMS and amalgamated them into what is now Reliant Action Ltd. Married to his wife Tracey for 22 years, has 2 daughters, Charlotte and Cherise. He enjoys off-roading, jeeps, antique trucks and projects around the house. Importance of sharing information with your supplier and all stakeholders involved in a confined space entry. Time: Networking: 7:30 a.m., Presentation: 8:00 a.m. Cancellation fee’s apply for members who register and do not attend.